Half a billion no more. 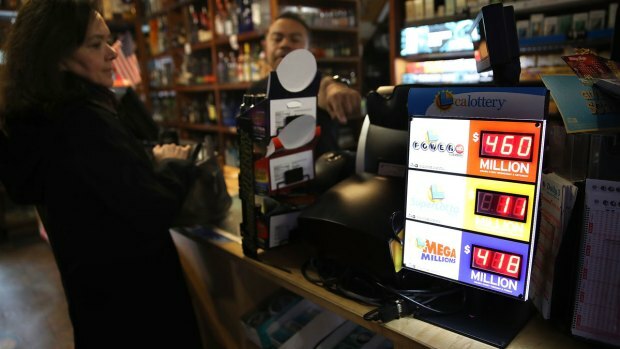 The sole winning ticket for Tuesday night's $522 million Mega Millions jackpot — the fifth-largest prize in the game's 16-year history — was sold at a California liquor store, lottery officials said. It was not immediately clear who won the top prize. Kewal Sachdev and his family own Ernie's Liquors in San Jose, where the winning ticket was sold. They will received $1 million for selling the jackpot winner. Late Tuesday, Sachdev's family gathered at their store to celebrate their fortune, NBC Bay Area reported. They said some of the money will go to charities and to their employees. "It means a lot right now," Kewal Sachdev said. "This has been an exciting roll," said Gordon Medenica, Mega Millions lead director and Maryland lottery and gaming director, in a press release after Tuesday's drawing. "Congratulations to California for taking home the fifth largest jackpot in Mega Millions history." 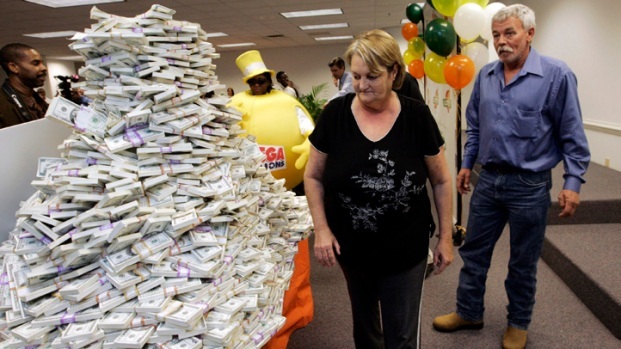 The July 24 winning numbers were: 19, 2, 4, 1, 29 and the Mega Ball was 20. No one had hit the jackpot since May 4. That $142 million prize was the third winning jackpot this year. Mega Millions said there were 3,109,361 winning tickets Tuesday night at all prize levels, including the jackpot. There have been nearly 17.4 million winning tickets since May 4, they said, including 35 that were worth $1 million or more. Mega Millions tickets cost $2 and have odds of 1 in 302.6 million to win the jackpot. Players must select five numbers from 1 to 70 and one Mega Ball from 1 to 25. Mega Millions is one of two national lottery games. It's played in 44 states plus Washington, D.C., and the U.S. Virgin Islands. The largest jackpot in U.S. history was a $1.6 billion Powerball jackpot won in January 2016 by players in three states. The record prize for Mega Millions was $656 million for the March 30, 2012, drawing, in which there were also three winning tickets.